Mary Lou is one of the world’s foremost display innovators, with an exceptional track record of inventions paralleled by years of working with Asia’s largest manufacturers. Anne loves to program and to learn new things, recently including the Go programming language. At VMware, she designed and implemented components of VMware's Distributed Resource Schedulers for servers and storage and of Distributed Power Management, worked on application-oriented and hybrid resource management and did performance analysis for VMware's hypervisor and hosted products. 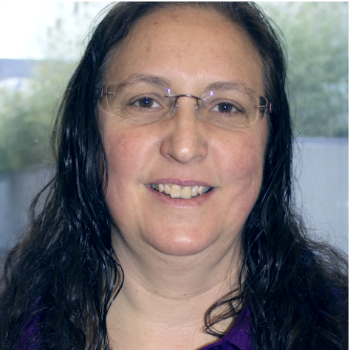 Prior to joining VMware, she worked at Omnishift on transparent application and data delivery over the web to the desktop, at Transmeta on Crusoe performance and power, and at Hewlett-Packard on low-level compiler optimization and performance for the PA-RISC and Itanium processors. Anne received bachelors and masters degrees from Duke University, and a doctorate from University of Virginia, all in Computer Science. Gloria is currently the CTO of iMentor, she has done from-scratch freelance development, dev-ops, system admin and security for start-ups mostly in the NYC area for the past 12+ years. Before this she worked on embedded systems firmware and middleware for Motorola, AT&T, Telcordia, and many smaller hardware companies. Having seen and done so much in many different languages, tool sets and environments gives her a unique perspective on some of today's prevailing philosophy on software development, dev-ops, and managing development teams. Lindsay is a paper engineer and designer who explores the mechanics of paper used in pop-up design, paper craft an sculptures. She integrates electronics in her work to showcase technology as a tool and material to enhance ideas for creative expression. As an educator and an artist, her work is an example of the intersection between fine art, physical computing, and fabrication techniques. Currently Lindsay is an educator at the Children's Creativity Museum in San Francisco as the Innovation and Tech Specialist teaching coding experiences for school field trips and building workshops exploring educational hardware technologies. Joseph is currently the Director of Strategy and Business Development within Intel’s Visual Cloud Computing Group. He is responsible for driving strategies around Cloud workloads such as Computer Vision, Natural Language Processing (NLP), Video Summarization and Analysis, and Speech Recognition. Joseph has more than 15 years delivering products and services in Digital Video, Cloud-based Media Transcoding, Image Processing, and Machine/Deep Learning in the consumer mobile, broadcast, and cloud segments. Joseph holds a bachelor’s in Electrical Engineering from Michigan State University, an MBA and MS in Finance from the University of Denver, and is a graduate of the Entrepreneurial and Innovation program at Stanford University’s Graduate School of Business. Nitin is an Technical marketing engineer at Mentor graphics. He has a masters in EE from Purdue, and an MBA from IIM Bangalore. At Mentor Graphics, he advises the HyperLynx simulation group on design features for multi-gigabit SerDes signals, power integrity and DDR memory. Tenaya Hurst is a Rogue Maker. From finding out about the Arduino microcontroller technology on March 16th 2013, she's taken off with the electronic fever of making. Originally from Berkeley California, Tenaya attended Indiana University Bloomington obtaining a B.A. in theatre, geology, and anthropology as well as being awarded Phi Beta Kappa. Madhuri is a systems engineer with 15 years of experience in database, virtualization, and container technologies. She loves working on interesting systems / distributed systems problems with smart and nice people. Deepa is a systems software engineer with extensive experience in network technologies spanning Layer 2 and 3, High Availability, VoIP and infrastructure services. In her day job, she writes and maintains code for PayPal’s IaaS deployment, which boasts of highly scaled Openstack. She has a Masters in Electrical Engineering from the University of Southern California. Deepa is an active volunteer for CodeChix. She led its largest open source project - OFconnect - to successful completion along with a team of developers. She has represented CodeChix at several technical conferences as speaker, including PyCon and Linux Conf Au. Learn more about Deepa at www.linkedin.com/in/deepakarnad, http://deepadhurka.blogspot.com/ and @deepadhurka on Twitter. Ramya is a Software Developer at VMware where she works on their VMkernel Networking stack. Ramya graduated from Carnegie Mellon University (CMU) in 2012 with a Masters in Computer Science. Ramya’s skill sets span networking, SDN, virtualization, cloud, and computer systems. Ramya is also an active member of CodeChix organization and promoting women in open source through her contributions. She is a core developer and maintainer of CodeChix OpenSource project OFConnect. She represented CodeChix at several technical conferences as a speaker including LinuxConf Auckland 2015, OSCON 2015 and Open vSwitch 2014. Learn more about her at http://lnkd.in/ngJu5f and github.com/bollaramya. Mike is a Senior Staff Engineer and tech lead in the Site Reliability organization responsible for Google Apps which include the teams of Gmail, Drive, Calendar, Docs, and Enterprise Suite for Work services. He has almost 10 years experience focused on engineering resilience of some of the internet's largest global services. He earned a Chemical Engineering degree of the University of Minnesota. Mike is considered Google's domain expert for engineering against Cascading Failures.